Here is the 3rd variety of salad "Merlot" that I'm planting in my second batch of the season. "Merlot" Heirloom Lettuce is from France and is of the loose leaf varieity with very crisp, waxy leaves excellent as baby greens as a cut and come again harvest. 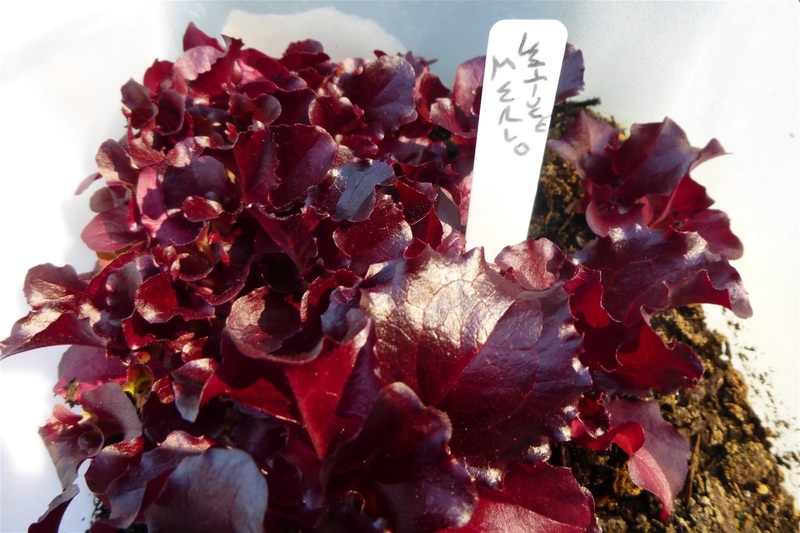 It is reputed to be the darkest red of any red lettuce with savoyed leaves. It is dark, rich red to purple when mature and is also slow to bolt. The color indicates that it is very high in anti-oxidants and anthocyanins, which is an added health benefit. It is also known as "Galactic".